This Beautiful Punjabi Folk Song Will Make Your Heart Sing! You must have heard the song “Madhaniya” many times, especially at bidaai ceremonies at weddings - but we’re sure you wouldn’t have heard it this way! 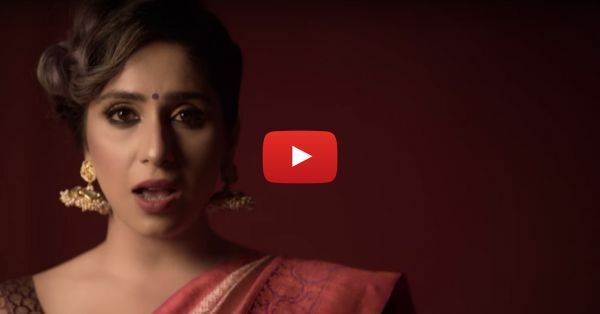 Neha Bhasin sang the song and created magic with it, her version of Madhaniya is just breathtaking! We love everything about this song, from the video to her outstanding voice - she has stolen our hearts already. Listen to the song and share it with all your lovely ladies, it’ll make your heart sing (just like ours)… PLUS: Subscribe to POPxo on YouTube for original videos + our favourite videos from around the web! MUST-READ: This Punjabi Cover Of “Jab Koi Baat” Will Give You Goosebumps! MUST-READ: A Beautiful Love Story – Shaan’s New Song Will Break Your Heart!